OUTREACH TEAM- spearheads outreach projects, community service, and distribution of invite cards. EVENTS TEAM – Creates, facilitates, and encourages engagement in activities/events that will gather women. CONNECTION TEAM – Creates memorable first impressions when women come to LADY INC events. They engage and intentionally connect each person with the love of Christ and LADY INC community. This team serves as point people for Intentionally passing out invites and manning booth/tables to represent LADY INC when necessary. PRAYER TEAM- Prays for and before each event. This team receives prayer requests and they’re ready to pray with women at any time. ADMIN TEAM - Handles data and information of LADY INC members and guests. Oversees effective communication with our database. ENCOURAGEMENT TEAM- Consistently provides encouragement on behalf of LADY INC to uplift, encourage and inspire women. 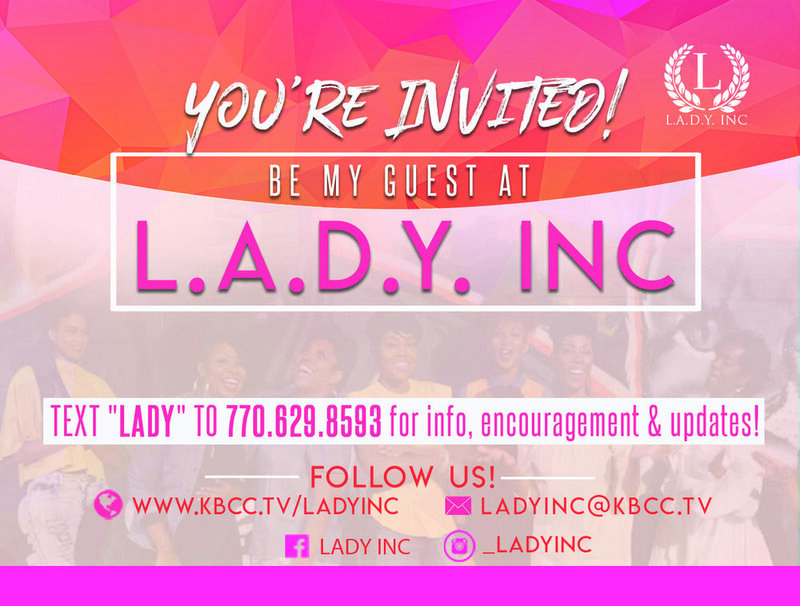 CREATIVE TEAM – Identifies effective ways to gather and engage women through creative ideas, events and initiatives that support the mission and vision of LADY INC.
DISCIPLESHIP TEAM – Teach and speak content to facilitate the spiritual growth of our ladies. Thank you for your interest in serving! We'll reach out to you soon with next steps! Welcome!